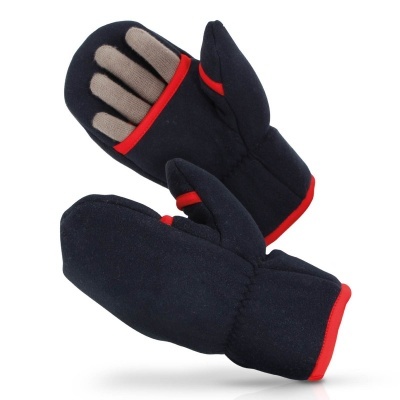 The Flexitog Blue Ridge Sherpa Fleece Thermal Mittens FG23 are well suited to environments that demand protection from the cold, especially as they use a Sherpa fleece to provide long-lasting insulation. They feature special peep hole openings to give fingers the highest level of dexterity possible, while their elasticated wrists ensure a secure fit for most users. The Flexitog Thermal Mittens are available in one size that should suit the hands of most users because of the elasticated wrist. 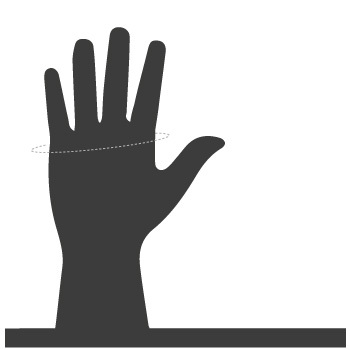 To ensure a good fit, it is still recommended that you measure the circumference of your hand around the knuckles (excluding the thumb) with your hand open and your fingers together, and match the results to the table below.